The mission of the Somervell County Water District is to provide a reliable supply of high quality, safe, and affordable drinking water to the citizens of Somervell County in keeping with sound responsible management and conservation practices. The District is committed to providing this service using a combination of ad valorem taxes, fees and water rates that are the most advantageous to the tax payer. The Board, staff and all employees of the District are committed to providing the highest level of customer service and accessibility to the public. Water District in Glen Rose, Texas below. 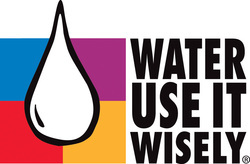 Water Conservation is very important to the Somervell County Water District. If you would like to find ways to save water and money on your water bill take a look at this list of 100 Ways To Conserve Water! !